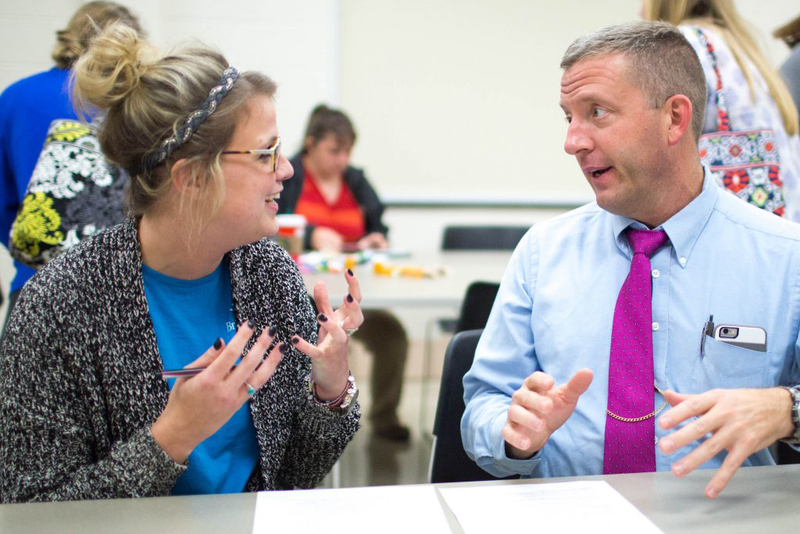 The Master of Arts in Secondary Education with Initial Certification (MIC) at the University of Kentucky is an intensive one calendar-year program of 31 credit hours which leads to both a master’s degree and initial teacher certification in Kentucky. The MIC may be pursued in one of two subject areas: English and Social Studies Education. The MIC program is a cutting-edge program in the Department of Curriculum and Instruction. The Master’s with Initial Certification program at UK is unique in that students begin teaching from Day 1. This “clinically-based” learning environment helps students quickly acclimate to the day-to-day life of a classroom teacher with actual, hands-on experience. We believe the ideal learning environment combines theory with practice, and therefore the program is structured to maximize that synthesis. Upon graduation, students advance to Rank II status, which results in a pay increase for Kentucky teachers. Through the MIC program, students earn both a master’s degree and secondary teaching certification–all within one calendar year. Certification is available in English and Social Studies. This 31-hour, full-time program includes a number of required courses designed to immerse students in the educational methodologies needed to become a teacher at the secondary level. Students also complete a fall practicum experience and a spring student teaching experience. For more information, see our Program Rationale. Applicants must also have a 2.75 GPA and minimum GRE/PRAXIS scores. Students must apply to both the Graduate School and the MIC program; however, this can be accomplished with one application. Applications are accepted on a rolling basis from August through May. The application packet includes GRE/PRAXIS scores, three letters of recommendation, a writing sample, and a personal statement. Please visit the Apply Now page for more details. More questions about the MIC program at UK? Fill in the form below and we will be happy to help answer them.